Price in Euro: 200 for 8 hours working day. 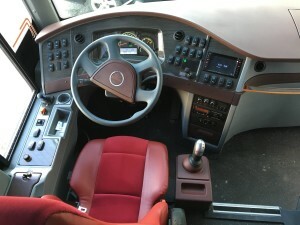 Brand New Coach Buses Isuzu Visigo 39 luxury seat Transportation of students, workers, luxury transportation administrative needs specialized transportation and shuttle transportation. 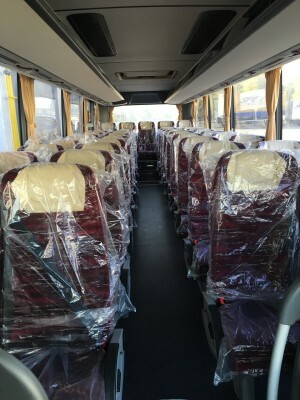 Most fastest traynsport at a good price with brand new buses categorized for transporting children and students for trips in Bulgaria and Europe. 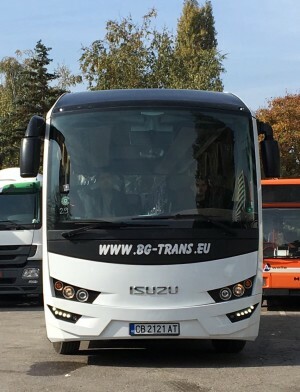 I must say that we of BG Trans Company.Ltd are one of the few on the Bulgarian market we offer the product “Luxury transport services with VIP drivers – chauffeur” Our wide range of luxury cars and professional drivers giving you perfect choice for you to enjoy your stay in Sofia, excursion in Bulgaria or shuttle service in Europe including Turkey. Enjoy the pleasure of traveling, transportation with brand new coach like a real luxury VIP star of show business only offered in Bulgaria a new limo Mercedes S Class 350CDI extra long base with massage rear seats and a panoramic glass roof. We transport large companies to transport their workers from door to door Bus of the different classes and seating capacity from 3 people to 500 passengers. Our company BG Trans Company has 25 buses brand New Coaches of the highest class, and limousines from brand Mercedes Benz S class. At best offer from a good company for transport services with driver at the highest level for every requirement and desire of our demanding customers. We created our company to be your benefit and to serve you. At Best Cost Sofia Airport Private Transfers 16 seater. Low Cost Journey to all point in Bulgaria and abroad .